Feel the Love. It's Genuine. In keeping with our tradition here of getting into something after its already been mainstream-cool, consider the scooter craze of several years back. Mainstream-cool is like a fad and different than Always-cool. 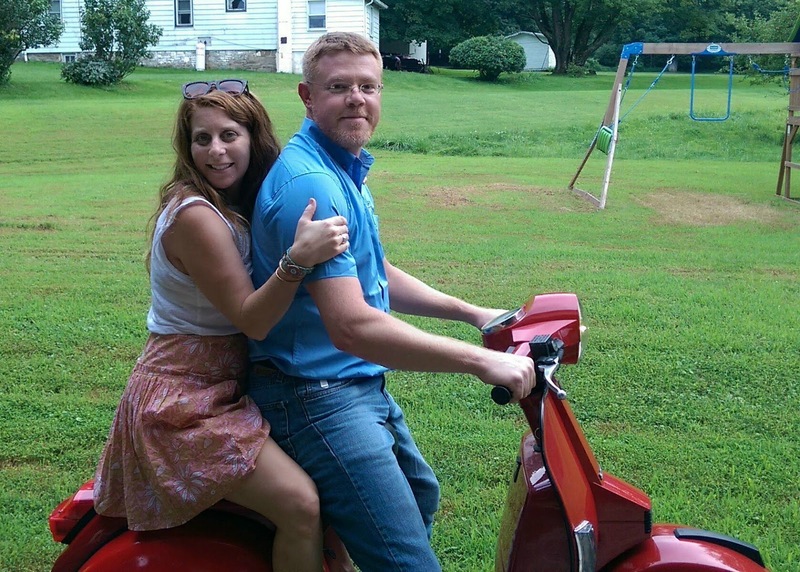 Sorry, scooters will always be cool. Remember when gasoline was $4 a gallon and scooters were all the rage? Today you don't even really see many scooters. 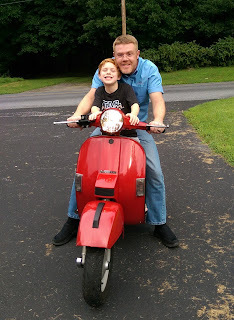 At the height of the fad, I was totally in love with the Genuine Scooters model Stella. They had just released the 4 stroke version and were developing the automatic. My heart was with a Vespa-compatible 2 stroke however. 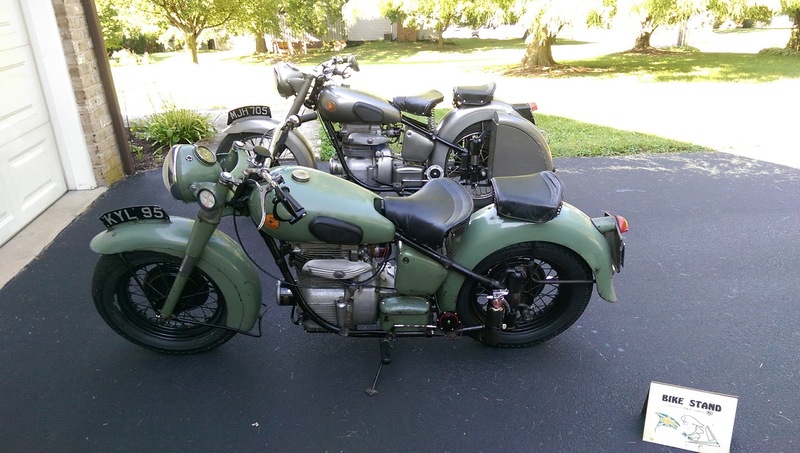 It was hard to justify since the barn already included a couple motorcycles. 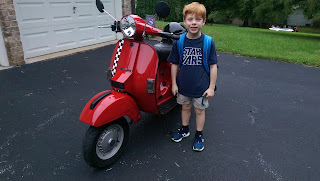 So the lust for scooting was forgotten, until recently. 2018 was a year of unrest. I changed jobs which resulted in an 9 mile commute, instead of the +30 mile commute that I was previously enduring. This changed everything. No longer would I have to travel the highway, and owning a scooter was well within reason. The lust for scooting was renewed and the search was on! I found a low mileage 2009 Stella 2T that had been laid over. The bodywork wasn't too bad and the mechanical repairs were easy. With a price tag less than $1000, how could I go wrong? Plus what is the fun of buying something off the showroom floor! The LML Star / Genuine Stella is an Indian made version of the Vespa PX150. The parts are interchangeable, and this gives Stella a big advantage for longevity for the future. The fit and finish is actually pretty good and I was satisfied with the new Stella scoots I had seen on showroom floors. We can rebuild her... again and again if needed since the parts are interchangeable. The PX engine clone was sold between 2003 and 2009, but the LML engine was reed valve instead of rotary. Since LML stopped producing the Stella line, the logical choice was the 2T. 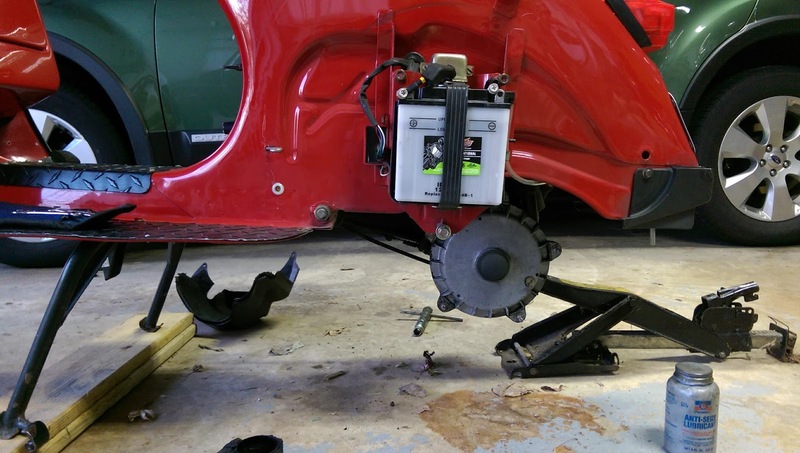 The four stroke and automatic at this point can't be expected to be supported very well. I love an orphan vehicle as much as the next guy, but there's no point in subjecting oneself unnecessarily. Broken headset, broken headlight, missing mirror. We picked up Stella from a young fellow in Red Lion. He was the second owner, and the scooter had been laid over. The damage wasn't too bad. 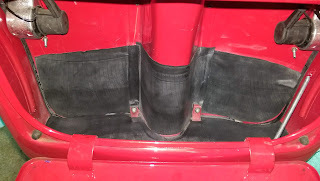 I managed to straighten the bend in the leg guard enough to make it reasonable. A little touch-up paint and some stickers and nobody would know. The headset casting was another matter, that would need replaced. Disassembly was easy. 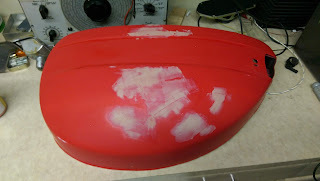 The wiring had to be repaired in a few places, but the damage wasn't all that bad. The only really difficult part was threading the throttle cable through the body. A word to the wise, make sure you can pull the new one in when pulling the old one out. Remember where it all went. Lay out all the parts. 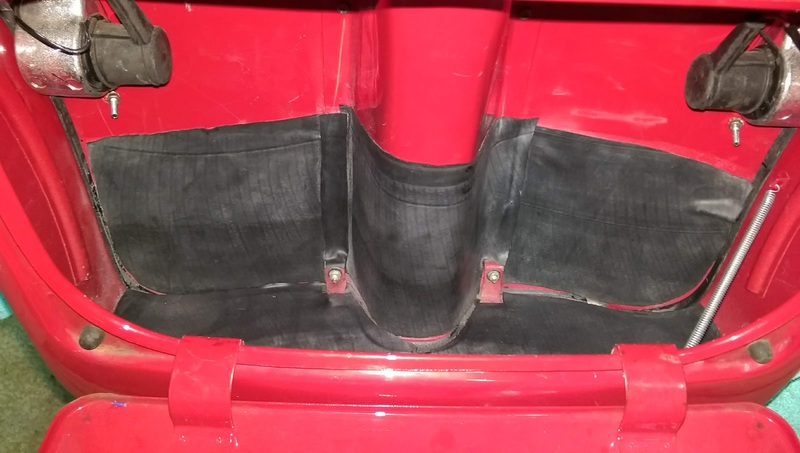 so why not line the compartment with rubber from an old inner tube! The Stella storage compartment is actually quite voluminous. If the capacity were measured in beers, then a 12 pack would fit. All it has to do is hold my lunch in the box. The "curry hook" is perfect for carrying a growler full of craft beer. New black headset casting, painted red. Pound out the dents and fill in the scratches. The previous owner made a poor attempt to fix the damage by the crash. The paint didn't even match and the dents were still in the metal. I'm pretty lousy at bodywork, but I was able to make it look as good as new. The whole bike had been de-chromed. Most of the bright work have been removed, so all that remains is a Red / Black color theme. The only remaining chrome is the turn signal bezels, the mirror stalks, and front spring fulcrum cover. We are all smiles here. First trip into work. Then off to get state inspection. One thing I learned early on was not to fill the oil tank completely full. 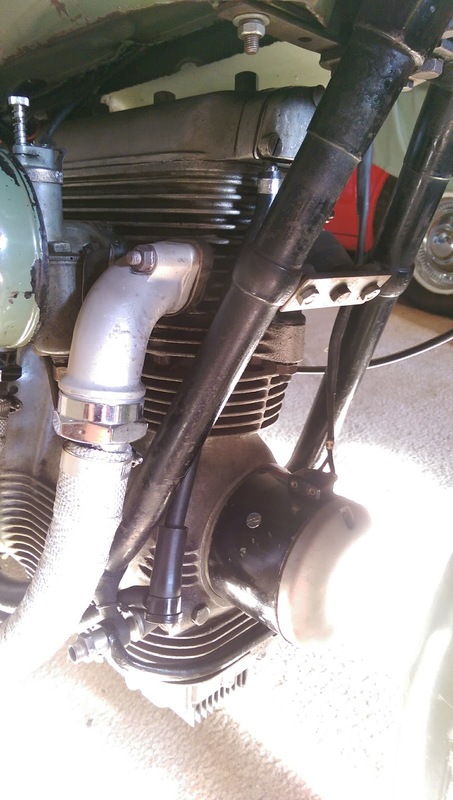 The oil tank is above the level of the carb, but a level too high will overcome the check valve spring in the carb. That causes oil to dribble down into the carb, and onto the reads where it sits waiting for you to kick start. 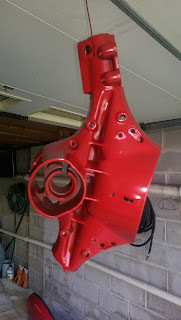 When that happens the whole crankcase gets a big mess of oil in it. That results in the whole neighborhood being covered in a huge cloud blue smoke. So I only fill the oil a little bit above the sight glass now. "Dad, when can we go for ice cream?" "Stella" was the name of my beloved pet mouse, so I needed to personalize the scooter in her honor. And I love checkered flags. 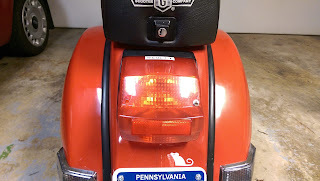 Every bike I've brought back to life has worn an "UNDEAD" sticker. It is simply the way of mad science. 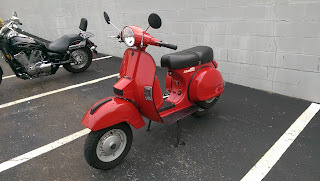 The major complaint about this scooter was a little lack of power. 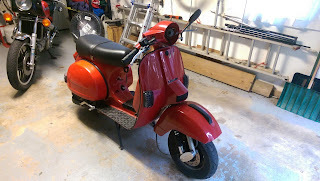 In talking to a few people about the 2T Stella design, I discovered that the emissions restrictions placed on this scoot really restricted the potential of the engine. The said it really wasn't making the full 8 hp. 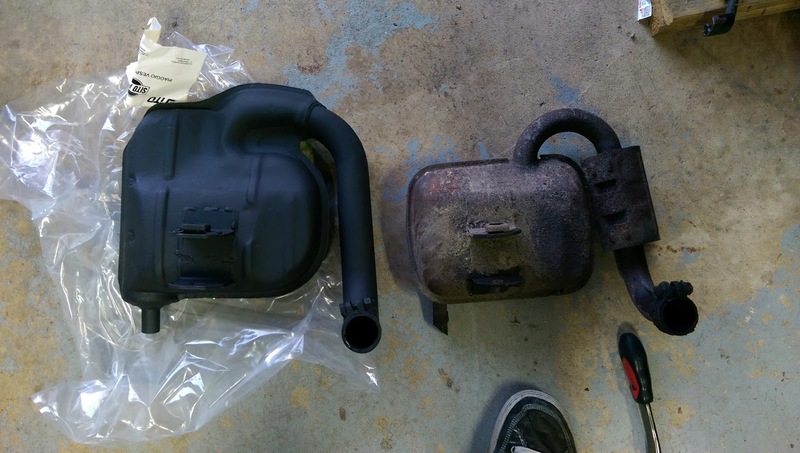 The catalytic converter is just too much of a restriction. The amount of oily smoke that comes out of a two-stroke, I was convinced this exhaust was clogged with crud as well. Upgrade to the SITO+ exhaust seemed like the best balance. There doesn't seem to be a need to go to a 177 kit, or anything that would reduce reliability. Something like the SITO+ should have been the stock exhaust from the factory. The worst aspect of this upgrade was cleaning things up before actually installing the exhaust. It is possible to carry out this upgrade in an afternoon. Here's a poor video with the first startup with the SITO+ installed. She started right up and ran with no problems. Idle mix was about 3-1/4 turns without further tweaking. I wish I would have actually timed myself climbing the hill in front of the house with a before and after comparison. I'm quite certain the new exhaust is very much a performance enhancement. Rejetted and SITO+ sounds great. Feel the love, it's Genuine. The Victrola that I picked up last year at Kutztown has some damage. You can see in the video wher the casting was once broken and welded back together. This was presumably from someone bashing the spindle to try to get the platter off. The spindle is bent slightly and there's a clicking in the governor. The bent spindle only makes the platter wobble, and doesn't affect music playback. The clicking is apparently from a smashed tooth on the gear that runs the governor. I de-greased and re-greased the entire mechanism, but the tooth is still causing a problem. Carefully removing the spindle again and filing down the offending tooth seems to have fixed the problem. The old grease from the 1910's was petrified and had to be chiseled off. Soaking everything in PCS-1000 parts cleaner helped tremendously. When I re-assembled it for the final time I used Tribol Molybdenum grease. This stuff is amazing! Even if it wipes off or goes dry the Molybdenum gets into the crystalline structure of the metals and continues to provide lubrication. For your enjoyment a little Harry James and his Orchestra! What it really needs is a genuine Victor Exhibition reproducer. The Tip Top that came with it is deteriorating so badly that I dare not remove the screws to replace the seals. The potmetal is cracked and falling apart. The search is on. I recently met up with a nearby Sunbeam owner from Lancaster County (across the river). We compared our machines and discussed improvements and modifications. 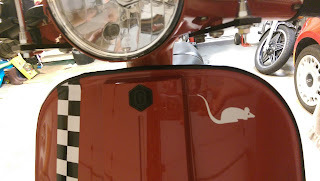 One thing that my friend noticed was the crankcase breather on my Deluxe. I wanted to avoid fouling plugs, and a disturbed mixture, so instead of routing the breather back into the air cleaner, I used a road tube. 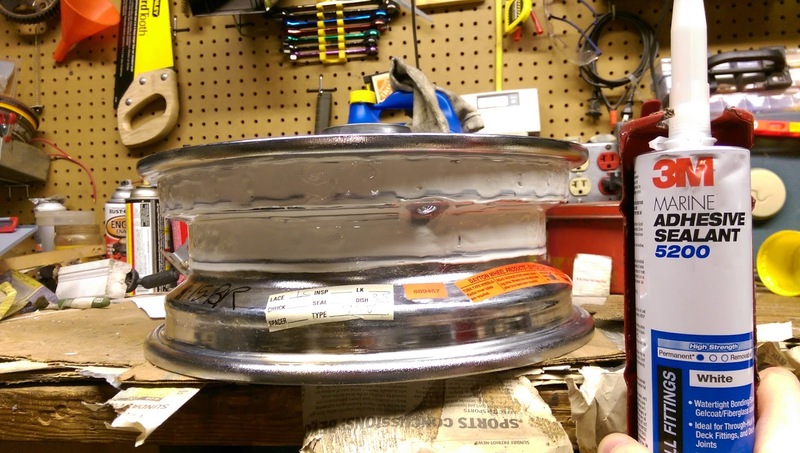 Since there isn't much opportunity for a "draft tube" like on a car, another method was in order. The standard breather "check" valves stopped working of course. I obtained a brake booster check valve from Dorman products and mounted it alongside the frame rail, just above the side engine damper. Since the valve's inlet port diameter was quite large, it needed to be reduced. So I put another hose inside that one. The outlet tube then goes along the frame rail behind the silencer. The larger port is the inlet, the smaller one on the side is the outlet. The brake booster check valve insures that crankcase is well vented. 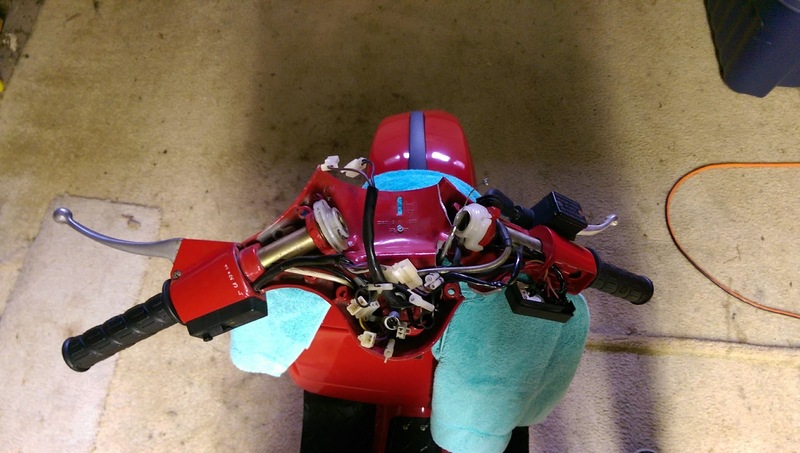 The front of the engine stays clean, and the vapors are deposited well behind the rear wheel. I very much like the Gentex automatic dimming rear view mirror that comes standard on my Subaru. 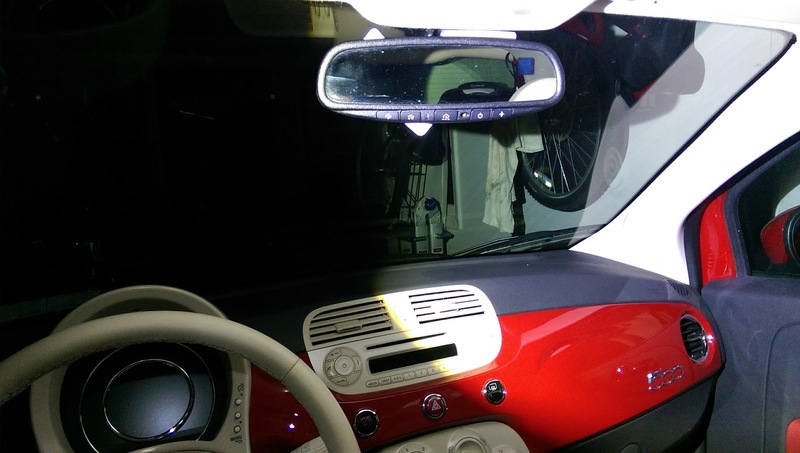 Why not upgrade my FIAT 500 Pop with the same technology. The Gentex website supplies very little support for do-it-yourself modification. No pinout or specifics on how to use their products is on their website. I obtained a Gentex 313 out of a Nissan on eBay for a very reasonable price. Considering these go for >$200 in some cases, I did rather well. The challenge was finding the correct pinout. After skimming some forums and matching up (within reason) what I had purchased, I was able to determine the correct pinout. The device I had used 5 wires. Since the FIAT 500 already has outdoor air temperature, I left those wires disconnected. The result was the temperature reading OC (for open circuit). 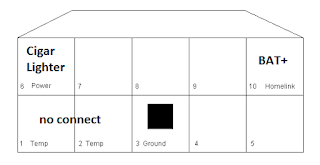 If I find a sensor someday, I'll set it up for indoor temperature and just chuck the sensor in the car somewhere. I take no responsibility for what you do here. Don't burn your car to the ground, do something stupid, or otherwise try to blame me for what you try to modify. 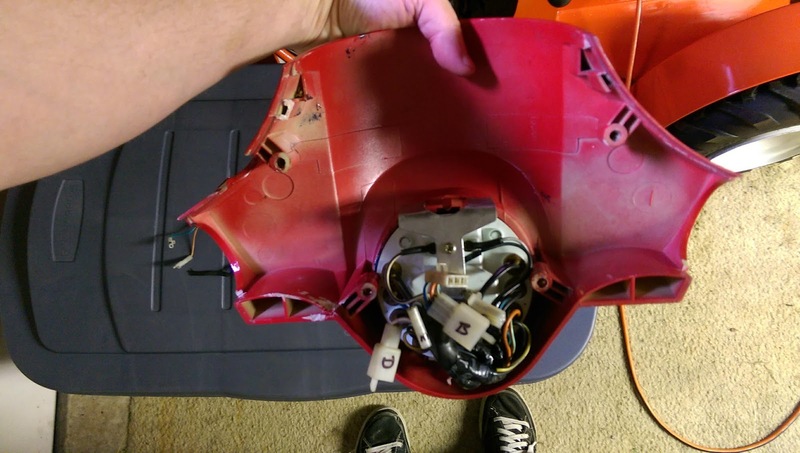 I'm an electrical engineer, and I know what I'm doing. This is the resulting wiring diagram. 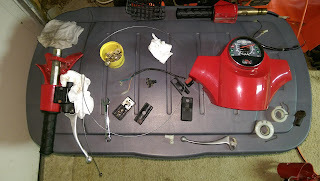 I chose the dome light power source in the FIAT for the power supply for the Homelink wire and ground for the system. This perhaps wasn't the best choice, but it was convenient. I found that the dome light times out if you leave the door open for too long a time. Its no big deal, since closing the door re-activates the power for the dome light. I tapped into this power supply by soldering wires onto the dome light traces. The galvanized substrate solders easily and did not deform the plastic structure of the dome light assembly. I chose the cigar lighter as the power supply for the compass and auto-dim functions. It draws 500mA and doesn't need to operate until the key is turned on. This meant fishing a wire from the dome light area down to the cigar lighter power supply. I had already tapped into the cigar lighter for my ham radio transceiver, so tapping into it again wasn't bad. I had to gently follow the existing harnesses down the A-pillar carefully avoiding entanglement with the air bag deployment system. The wire was then run alongside the main harness on the firewall and down the center console into the cigar lighter wiring. The resulting modification is great. I now have Homelink control over my garage door openers, the very cool auto-dimming mirror, and a compass (if I want to turn it on). The other aspect is that the standard glass mirror mount works without modification. As you know I like to drive small, that's what I like about the Imp. "Economy" and "fun" are the name of the game. Since I can't drive an Imp everyday, I had to have something similarly fun to drive. Probably the most stylish and economical small modern car is the retro FIAT 500. I'm on my second one after the first one died in a horrible crash over a year ago. I'm one of those guys who always said "automatics are for wimps". I haven't owned an automatic gearbox car or truck newer than model year 1983. However, city traffic is frankly no fun with a clutch. This was a big factor in why I chose the automatic AISIN 6-speed overdrive gearbox with auto-stick. This presented me with an interesting opportunity, since my second FIAT is a 6-speed auto-stick, while the first one was a 5-speed manual. The commonality is me. Would one car be more economical to drive than the other? The question here is that would I treat the cars the same despite the gearbox change? Would the 5-speed manual make a more aggressive driver out of me, and would the 6-speed automatic make me lazy and drive like grandma? I wouldn't have believed it, but the automatic is actually more fun to drive aggressively. The sequential shift pattern shifts instantaneously when placed in manual override and even provides a little lunge to make you feel like you've accelerated (Remember its only 101hp). While pulling out aggressively, the torque converted won't lay-a-patch like the manual clutch would, it still gives a good visceral ride. I'll just preface this study with the statement that I do drive economically around town and on the highway. My commute is a fair amount of stop-and-go traffic where the manual transmission was less than pleasant in the city. I stick to the speed limits and watch for wildlife on my daily back road trek to the office and home. 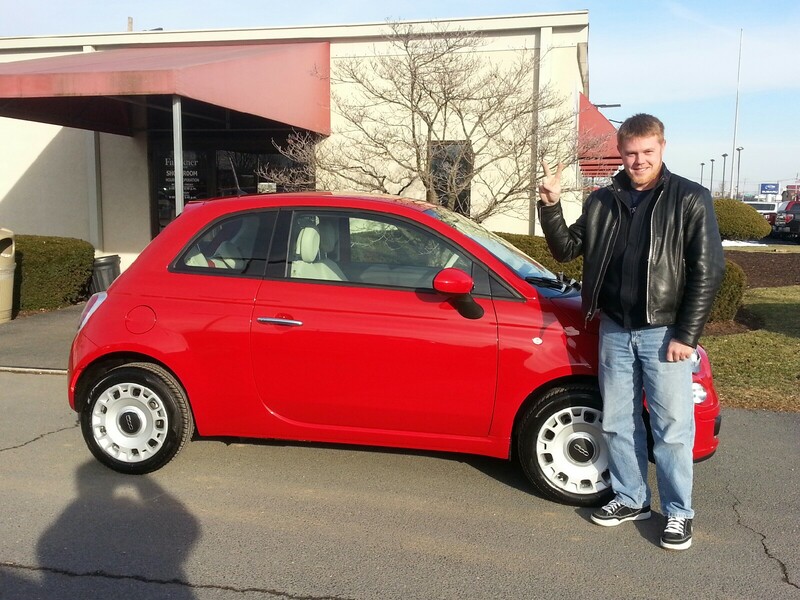 The Pop version of the FIAT 500 is base model and the least sporty of the FIAT lineup in the USA. That all being said, I'm usually the first off the line at a multi-lane traffic light even though everyone passes me after the first few car lengths. I don't think my driving style has changed significantly with manual vs automatic. I get home at the same time everyday and I get to work at the same time. I even use the manual override on the automatic about 50% of the time. 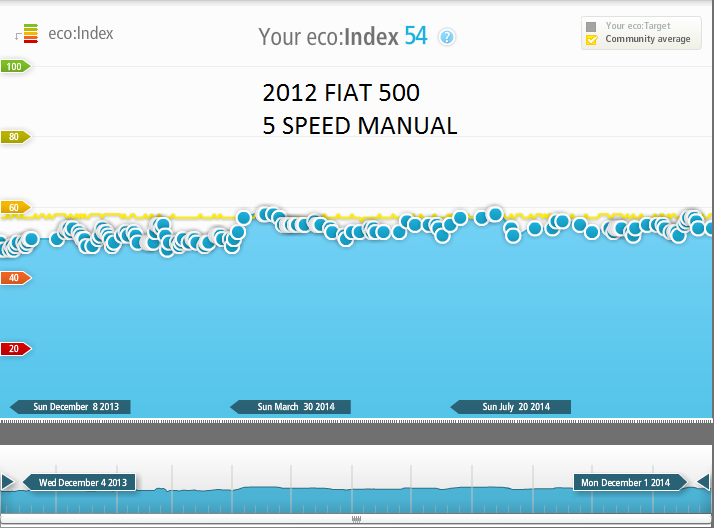 FIAT provides a data collection tool called Eco Drive. This tool collects data from your car though a USB flash drive. The driver can then occasionally upload the data to the server where it is trended, and also compared with the rest of the FIAT driving community. As a driver striving for economical operation, you can see where you need to improve your skills in the way of shifting, acceleration, deceleration, and general speed. A trend of your driving habits is created and compared against the whole community average with a dimensionless value called the "Eco Index". 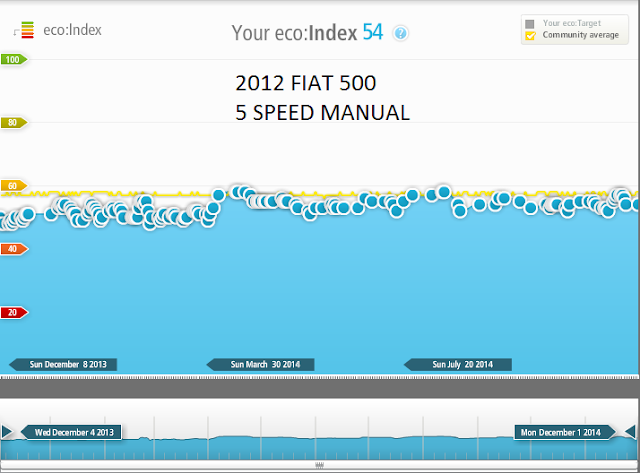 Here is a graph of the Eco Index of the 5-speed manual gearbox 2012 FIAT 500 Pop before its death. 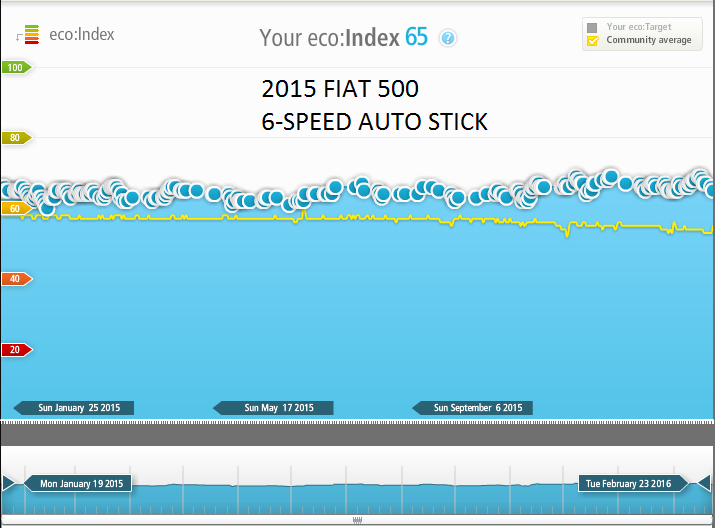 Here is a graph of the Eco Index for the Automatic gearbox 2015 FIAT 500 Pop from purchase to present day. Remember, this is the same model car, same fuel, same engine, same driver. Only the gearbox is different, and the driving experience is different. Why is the automatic consistently and significantly above average in the community? I can't say that I drive any less aggressively, and I can't say that I have any less fun with the automatic. The higher gear in the automatic, plus the fact that it shifts at the RIGHT time if left in the automatic mode seems to make all the difference. Oh, and notice that when that fuel has gotten less expensive as of late, that the community has gotten less efficient, but I have increased ever so slightly! 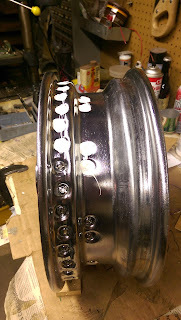 The Sunbeam S7 Deluxe originally used Angus 182 leather grease seals on the wheel bearings. While surprisingly long-lived (12,000 some odd miles and 66 years of service) everything is prone to eventual failure. 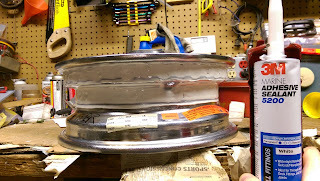 This weekend while taking a leisurely trip to visit J&B Moto Company, the rear grease seal lost structural integrity. Grease was all over the rear wheel and caked into the mud guard. A quick look for a replacement yielded a modern equivalent. 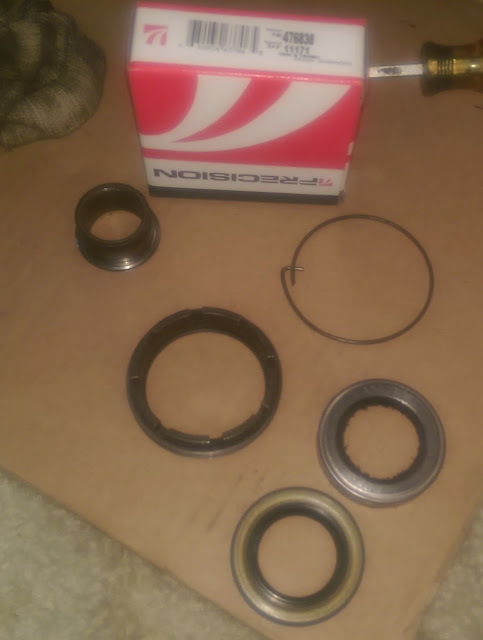 A Precision 476838 Seal was a perfect fit. It is a double lip seal and should yield adequate protection. I doubt they will last over 60 years though. 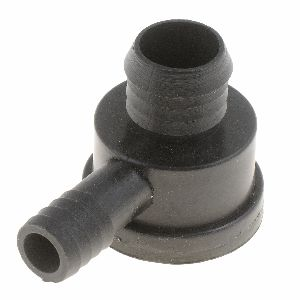 Remember the castle nut of the seal assembly is LEFT-handed, just like the axle.